If you’re on the keto diet, you know there’s one thing you can definitely eat (you know, besides butter and cheese): steak—I mean, Jenna Jameson definitely does. Lucky for you, Texas Roadhouse is an entire chain restaurant devoted to those big, juicy hunks of meat—but that doesn’t mean you can go all out while, uh, dining out. Something important to keep in mind at any restaurant: The keto diet is a high-fat, moderate-protein, low-carb diet…so even if the carb count is low on most meals, you still want a good amount of fat (that means don’t focus all your efforts on meaty protein). Your best bet? Stick to dishes with 20 grams of carbs or fewer (most keto dieters can go up to 50 grams of carbs each day), and steer clear of any super-sugary sauces or glazes. And instead of getting that baked potato on the side, opt for extra (low-carb) veggies like broccoli or spinach (even better if you put an extra pat of butter on them too). 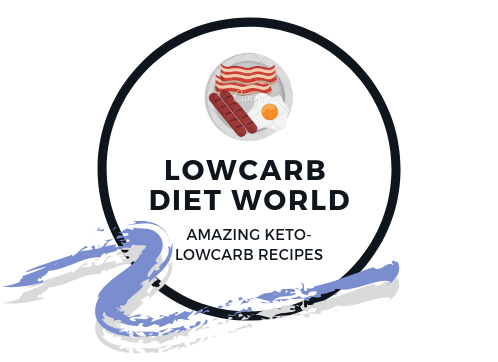 Because you don’t have time to scour the entire Texas Roadhouse menu (and nutrition info) before going out, I’ve done the work for you by calling out meals you can snag at the restaurant that still fit your keto lifestyle. Real talk: This one’s an appetizer (you’ll have to get the cup size), but chili topped with cheddar cheese is definitely a keto win. In fact, go ahead and ask for extra cheese on this one. Per serving: 290 calories, 16 g fat (5 g sat fat), 865 mg sodium, 16 g carbohydrates, 4 g sugar, 4 g fiber, 21 g protein. Can you really go wrong with salmon on top of salad on the keto diet? Nope—just make sure to ask for this meal without the croutons (every carb counts on the keto diet, people). Per serving: 800 calories, 53 g fat (22 g sat fat), 1270 mg sodium, 18 g carbohydrates, 7 g sugar, 7 g fiber, 66 g protein. If you’re not in the mood for a huge dinner-sized salad (like the Grilled Salmon Salad), stick to this cheesy, creamy keto favorite. But again, ask for it sans croutons. Per serving: 420 calories, 39 g fat (9 g sat fat), 470 mg sodium, 11 g carbohydrates, 2 g sugar, 2 g fiber, 8 g protein. All right, so you can definitely get almost any steak on the Texas Roadhouse menu—the tricky part is, what to pair with it (or smother on top of it). In this case, go ahead and order a Sautéed Mushrooms smother sauce for just three extra carbs. Per serving: 820 calories, 49 g fat (20 g sat fat), 1580 mg sodium, 12 g carbohydrates, 5 g sugar, 3 g fiber, 90 g protein. Meat with a side of meat is definitely a “do” on the keto diet—this one pairs barbecue chicken and steak. Pro tip: Ask for an extra pat of butter to melt over your steak (you can thank me later). Per serving: 810 calories, 43 g fat (17 g sat fat), 1180 mg sodium, 16 g carbohydrates, 11 g sugar, 3 g fiber, 91 g protein. It’s chicken smothered in either gravy or cheese—you really can’t go wrong. Per serving (Cream Gravy version): 400 calories, 18 g fat (7 g sat fat), 690 mg sodium, 6 g carbohydrates, 3 g sugar, 3 g fiber, 50 g protein. Per serving (Jack Cheese version) : 420 calories, 19 g fat (9 g sat fat), 720 mg sodium, 7 g carbohydrates, 3 g sugar, 3 g fiber, 55 g protein. Honestly, pork chops are an under-appreciated meat—but steak, chicken, and fish shouldn’t get all the fun. Go ahead and top this one with TR’s savory Peppercorn Brown Sauce for an extra kick. Per serving: 410 calories, 23 g fat (8.5 g sat fat), 2250 mg sodium, 9 g carbohydrates, 1 g sugar, 2 g fiber, 42 g protein. Yep, here’s another salmon dish (low-carb, high-fat—salmon is a total keto lifesaver). Go all out and top this one with tartar sauce for even more fat (like, 26 extra grams more). Per serving: 740 calories, 59 g fat (11.5 g sat fat), 1040 mg sodium, 10 g carbohydrates, 6 g sugar, 0 g fiber, 45 g protein.